First times are always great, aren’t they? When you discover a new country and lifestyle for the first time you tend to soak it all up in a matter of days or even hours. But when your main goal is to tick off as many destinations from your bucket list as possible, you run the risk of forgetting to really enjoy the moment. Sometimes you get so overwhelmed by what you see that it gets hard for you to really understand what’s going on, to question things and genuinely experience them. The fast pace is killing it. So how about slowing down and making the most of each moment of your travel? How about taking in your surroundings at a relaxed pace, no bucket list destinations, no pressure, just pure enjoyment? Some places are more than fated for slow travel. 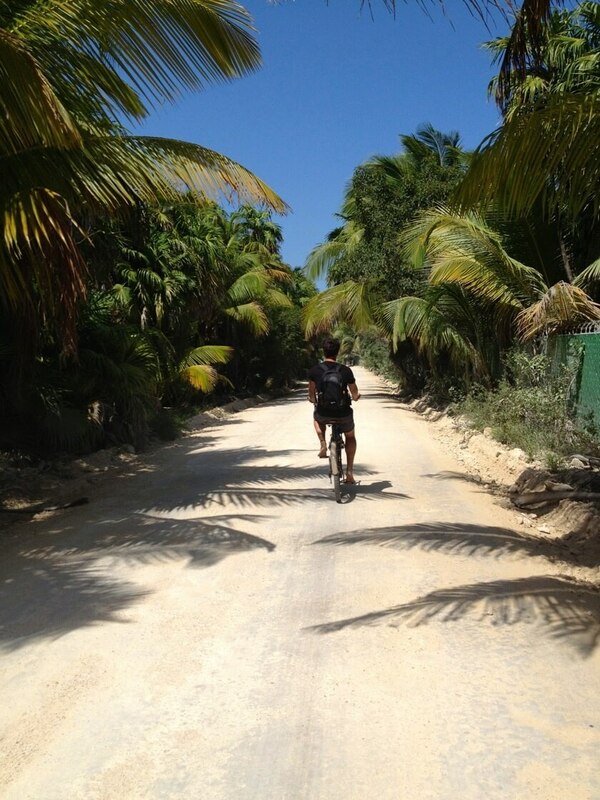 The little Maya town of Tulum is one of those spots where you can live and travel slowly. The framework conditions are more than propitious. Tulum is situated on the Yucatan peninsula in Mexico, only two hours south of Cancun, but literally worlds apart. In the South, the beaches are filled up with boutique & yoga hotels and the savage yet beautiful Sian Ka´An Biosphere. On the contrary, the Northern beaches are more laid-back and open for everyone. Rudimentary bungalows and camping spots give the place a hippy touch. The lush Mexican jungle is a few kilometers inland. A great number of cenotes – one of Yucatans hallmarks – are scattered in the Tulum region. Central Tulum stretches right and left from the Avenida Tulum and is home to the majority of native Mexicans, and that’s where the Maya authenticity meets the true explorers. Within 30 years Tulum has evolved from a small indigenous village to an impressive little eco-friendly, hippy and original town. In the early 80’s Tulum was the place to be for young and old hippies, lone sailors and off the beaten path backpackers. Nowadays, those original influences are melting with the latest tourism trends such as eco and wellness resorts. All this makes Tulum a unique and diverse spot, ideal for local wanderers, travelers, hippy-hipsters and indigenous. Sounds interesting? Then my tips on how to discover Tulum at a low pace and on a budget will certainly make your journey remarkable. If you are traveling on a budget you might not even consider other more costly options, like taking a cab or renting a car. 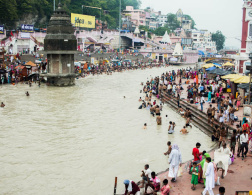 After all, it’s more enjoyable to travel with locals, to eavesdrop their conversations. Insider tip: Book your ADO ticket in advance, via their online booking service. If you plan to change the already booked ticket, you can easily do so by showing your passport or ID. No extra charges! Once in Tulum you should settle for a couple of weeks and take all the happy vibes in. Tulum is a town of contrasts. 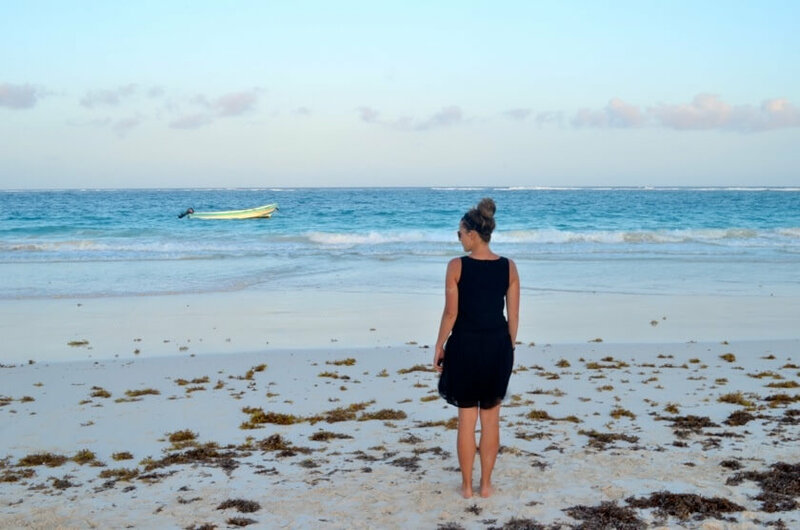 While Tulum Pueblo and the Northern part of Tulum Playa hold a crazy mix of laid back hostels, Couchsurfing and Airbnb listings, the Southern part of Tulum Playa takes pride in it’s overwhelming and thoroughly expensive boutique & eco hotels. But this isn’t something that your slow and budget traveler heart is seeking, right? 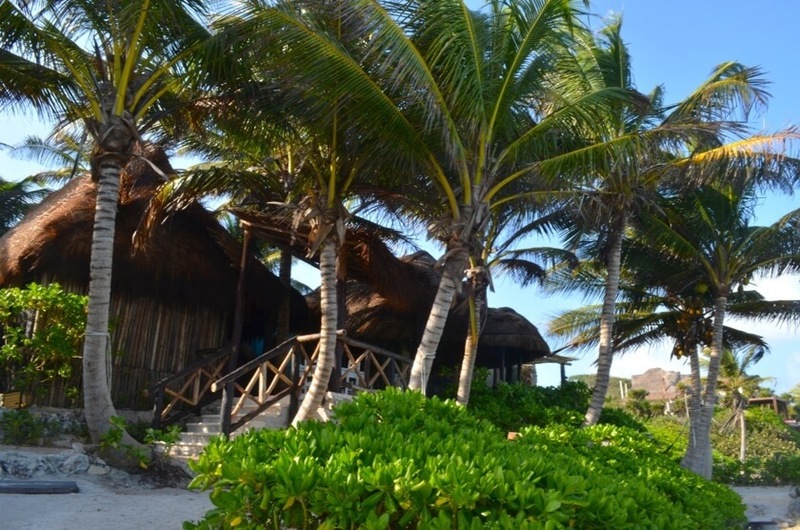 Away from the touristy consumerism hustle of the expensive Southern Tulum Playa, you might consider renting a rustical cabana in Northern Tulum Playa – here you should plan 60EUR per night for two. If you’re looking for a couple of lazy beach-front days, go to Santa Fe beach, there you can get yourself a tent and a mattress and camp out for only 100pesos per night (4,50 EUR). Another budget-friendly option is staying in an Airbnb studio or couch surfing in Tulum Pueblo. 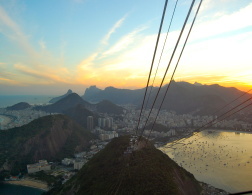 Slow traveling is all about immersing yourself in a foreign culture. Living with and like locals offers you the possibility to get the most out of Maya customs, language and lifestyle. It allows you to better observe and understand the indigenous in their very own and authentic pueblo, raising the idea of intercultural exchange to another level. Insider tip: Costs of accommodation are usually the ones that leave biggest hole in your travel budget. By traveling slow, you choose a home base for a couple of weeks and thus minimize your variable costs, such as transportation, housing and food costs. Tulum is packed with pretty restaurants, pizzerias and hip coffee bars – however, be sure that you won’t be able to keep your low budget if eating at one of those trendy hot spots all the time. 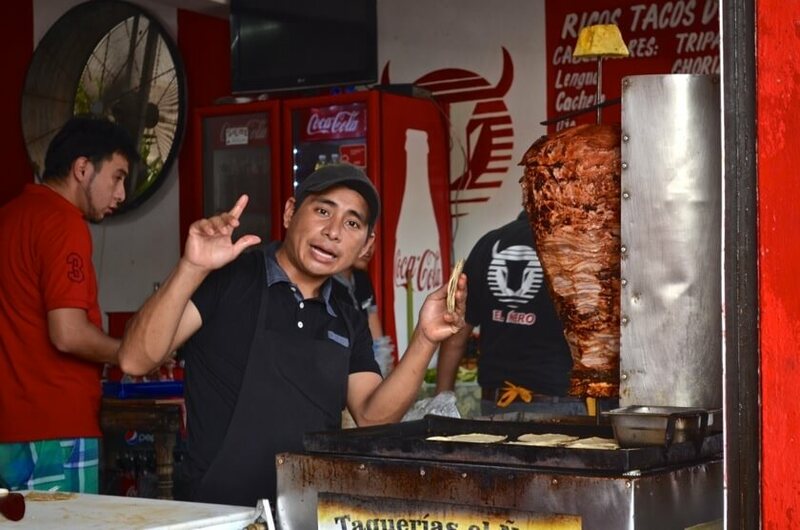 If you’re an explorer at heart and you care about your budget, you should eat out at traditional paladares and taquerias, hidden on small side streets. The vibrant atmosphere, the spicy tacos and the friendly staff will make your lunch or dinner a thorough cultural experience. You will leave with a full belly, a Mexican amigo and only 3EUR poorer. Also, for a quick snack, try the mobile restaurants – open only at night. With a small stove, a small chopping board, some plastic chairs and Mexican music, these carts are mainly visited by locals and that’s what makes them the perfect spot to mingle in and get the most of the people from Tulum. 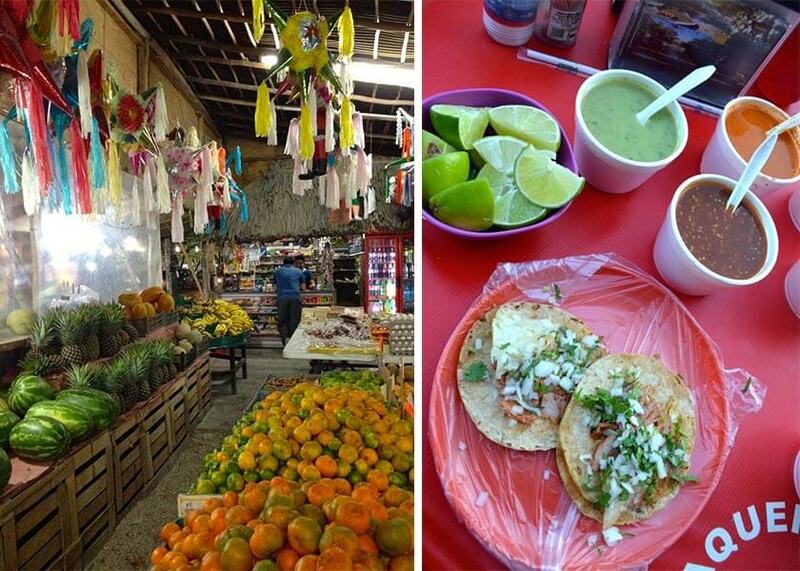 Another excellent option to go easy on your budget is to buy fresh avocados, hot chilies, fruits, salty snacks and tacos from the mercado comunitario de Tulum. The colors, the tastes and the variety of products will blow you away. Insider tip: Don’t be afraid to taste the salsa picante, you can balance the spicy taste out with the very tasty horchata drink, made from rice. That’s what I did, and I didn’t regret it. Even if taxis are everywhere their prices aren’t exactly aimed at budget travelers. And that’s fine, because you don’t need them. Instead of cruising down avenida Tulum in a taxi, you should hop on into a collectivo and save yourself some pesos. The white mini vans run regularly from avenida Tulum to Playa Tulum or even to more remote locations such as Akumal, the Cenotes, Cancun, Playa del Carmen or Coba. 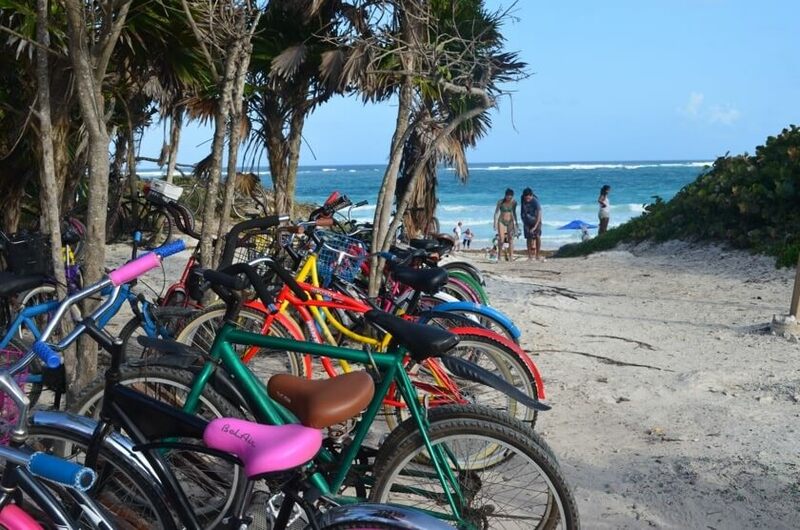 If Tulum will be your home base for the journey, rent a bike. It will give you a great flexibility, making your muscles work by exploring colourful side roads, hidden cenotes (natural sinkholes) and savage beaches. The price for renting a bike is unbeatable: with only 100 pesos (5EUR) you can rent a bike for 24h. Most bike rental shops will give you a discount if renting for a few days. Insider tip: let the collectivo driver know where you plan to get off, otherwise you might end up in a secluded village. Also, be sure to carry your passport or ID when renting a bike. Some rentals want to hold your passport for the rental period – I avoided those places, the thought of being stuck in paradise made me nervous. As Tulum is growing into a Caribbean hot spot, vendors and locals tend to get a bit reluctant towards travelers and tourists. However, if you’re up for some chit chat, strike up a conversation. Even if your Spanish skills aren’t mind-blowing, you’ll score by simply making the effort of approaching them. Locals love to see foreigners trying hard to communicate and taking an interest in their pueblo and daily lives. Language barriers are tough and frustrating, but slow traveling gives you space and time to practice and improve your language skills. Insider tip: Be patient – some things don’t happen just like that. While interacting with fellow travelers is easier when on the road, making friends with locals isn’t necessarily. 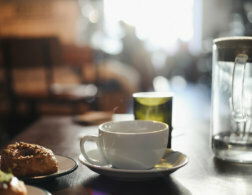 Think about it: even in your hometown, you don’t just win a friend over a cup of coffee. Making friends and growing relationships take time. To put it into a nutshell, low paced and budget travel perfectly works together. By preserving your energy and money without hopping from one must see destination to another you will build up a stronger connection to the place you are visiting, connect with locals on another level, and have a unique and individual experience throughout based on quality rather than quantity. What’s your opinion on slow & budget travel? Have you been to Tulum? Did you manage to get the best out of the Yucatan people and culture? This is a guest post by Iris Pop. Iris was born in Transylvania, Romania, a splendid and savage place that waits to be explored. Constantly curious and open for new voyages, she lived, studied and worked in the US, France, and Germany. Her current home base is Hamburg, where she gets creative, working in branding & visual communication. 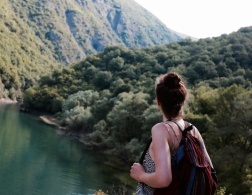 When she’s not working, she’s traveling and focusing on finding new inspiring article topics. 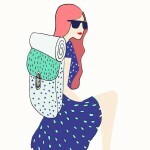 She shares her adventures and discoveries on Instagram @iris_left_right_there & Facebook. 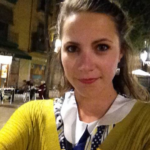 Find her recent contribution on Cluj-Napoca, Romania here.